Dyslexia is a learning disorder largely associated with reading issues. Dyslexic individuals typically have trouble reading in a traditional manner. And while they might not be functionally illiterate, they still struggle with understanding and comprehending words and passages. It’s important to note, however, that dyslexia is not tied to IQ, at all. In fact, Albert Einstein was dyslexic and still had an IQ of 160. It is estimated that over 40 million American people are dyslexic but only 2 million are aware of it. Problems with dizziness, headaches, or stomach pain while reading. Confused by verbal explanations, words, sequences, numbers, and letters. Spells words inconsistently and phonetically. Often confuses over and under and left and right. Struggles with writing and copying. Uncoordinated and struggles at team or ball sports. Difficulty putting thought into words. Speaks using halting phrases or leaves sentences incomplete. Consistent stuttering during stressful periods. Hears things not said or apparent to others and easily distracted by certain sounds. Great long-term memory when it comes to facial recognition, locations, and general experiences. Memory problems for information, facts, and sequences. Primarily thinks using images and feeling rather than words or sounds. Can be a trouble-maker and class clown type, or very quiet. Sensitive to foods, chemical products, and additives. Mistakes and symptoms increase significantly with emotional stress, time pressure, or confusion. Whether you struggle with dyslexia or not, it’s important to note that you can still thrive in an educational and professional setting. 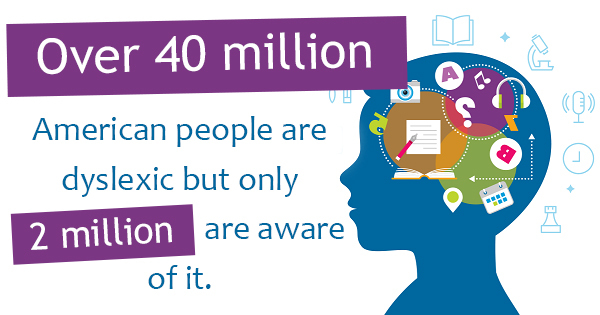 You just have to be aware of what works for you — dyslexia testing can help. If you want to learn more about various cognitive disorders to schedule dyslexia testing, ADHD testing, or consult with a professional neuropsychologist, contact the Center For Cognitive Assessment.